Featuring Purdue faculty and Vernon Smith, 2002 Nobel Prize winner in Economic Sciences. The Department of Economics at Purdue University, in the Krannert School of Management, will host a workshop in Behavioral and Experimental Economics for advanced undergraduate students (rising Juniors and Seniors). The purpose is to provide an introduction to experimental methods in economics, and how experiments inform research developments in behavioral economics and policy. The workshop begins with an introductory class session on Wednesday, June 6 followed by an opening reception. It ends with a concluding lunch on Saturday, June 9. Funded by a generous grant from the International Foundation for Research in Experimental Economics, the workshop is free for students. Meals and lodging (double occupancy in a modern Purdue dormitory) are also provided. Students must provide their own transportation to the workshop, but each day they will participate in multiple experiments and can earn cash to help recover these travel costs. 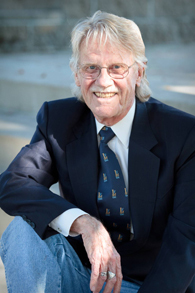 Workshop topics will be presented by a range of faculty, including Nobel Laureate Vernon Smith, who “established laboratory experiments as a tool in empirical economic analysis.” Each workshop module will include an experiment in the Vernon Smith Experimental Economics Laboratory (VSEEL) and a discussion of behavioral results. (1) A cover letter (maximum 750 words) explaining why you want to attend the workshop. (3) A letter of recommendation from a professor.